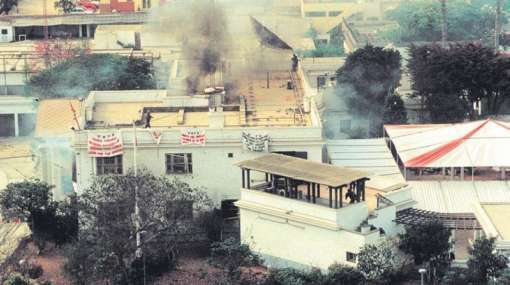 It sounds like something out of a novel: a group of rebels, helped by an American, seize an embassy in a South American country and hold dozens of people hostage for more than four months. 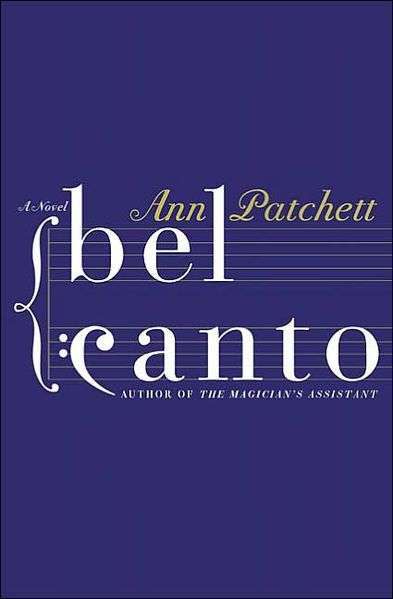 Indeed, the Japanese Embassy hostage crisis inspired the 2001 best-selling novel Bel Canto by Ann Patchett, winner of the PEN/Faulkner Award for Fiction. The real-life crisis began on December 17, 1996 in Lima, when 14 members of the Túpac Amaru Revolutionary Movement (MRTA), a Marxist-Leninist organization dedicated to the overthrow of the Peruvian government, blew a hole through the wall of the Japanese ambassador’s residence and took hostage more than 700 high-level diplomats, government and military officials and business executives who were attending a party celebrating Emperor Akihito’s birthday. While most of the hostages – including all the Americans — were soon released, 72 were held hostage for 126 days, until they were rescued on April 22, 1997, during a raid by Peruvian Armed Forces commandos. 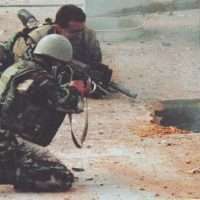 The commandos entered the residence by digging holes under the floor, detonating explosives and rushing into the building. One hostage, two commandos, and all the MRTA militants were killed. 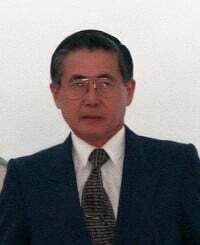 The operation gained worldwide media attention and for the time being, boosted President Alberto Fujimori’s popularity. James F. Mack was assigned as Deputy Chief of Mission to the U.S. Embassy in Lima. He discusses the attack on the residence and the fate of American Lori Berenson, who was sentenced to life in prison without parole for collaborating with MRTA. During her 1996 trial, Berenson was said to have been denied the right to examine the government’s evidence and witnesses. The case sparked controversy across the United States and led to the creation of the Free Lori Movement. She has been tried twice and is currently on parole in Peru until her prison sentence ends in 2015. Mack was interviewed by Charles Stuart Kennedy beginning in March 20, 2004. Read about when the U.S. Ambassador was kidnapped at a reception in Bogota. MACK: At that point Peru was the Saudi Arabia of coca, the raw material for cocaine. They produced more coca than Colombia and Bolivia combined at that point. Peru had two insurgencies, which were declining in strength but nonetheless, still quite dangerous. One was the MRTA [Tupac Amaru Revolutionary Movement] and the other the Shining Path or Sendero Luminoso. Even in Lima there were fairly frequent bombings and shootouts. 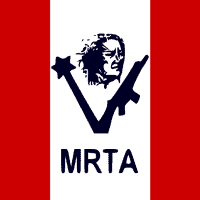 The MRTA was the more traditional revolutionary movement, with links to the Central Americans guerrilla groups. In 1995, this group had planned very thoroughly to take over the Congress of Peru which was housed in a 1930’s fortress-type building….To execute the plan they had brought 45 of their fighters out of the jungle to Lima…mostly Amazonian types who were totally alien to Lima…and staged them for two weeks in a house in one of Lima’s tonier suburbs to put the fine fitting touches on their preparations…. The house where they were staying had been rented for this group by Lori Berenson. She rented it, her and a Panamanian. I saw a copy of the rental document. The two were foreign internationalista revolutionaries who had come to Peru to support the MRTA. Berenson and the Panamanian rented the property for the MRTA. And I understood that she actually lived there with her boyfriend who was one of the leaders the assault group that was going to attempt to take over the Peruvian Congress. Berenson had come to Peru posing as a journalist for the “Third World Press” from Brooklyn, New York. I think the Third World Press was just a front. She had just left an interview in the Congress with a female Peruvian Congresswomen named Townsend on what was it like to be a female in a predominantly male Congress. Berenson was picked up by the police shortly after interview getting on a bus, along with the wife of the MRTA leader. The leader himself happened not be in Lima at that moment so was not arrested with the others. The reason that the government found out about this plot was that apparently someone in the neighborhood reported an enormous amount of bread being delivered regularly to this upper middle-class house. Clearly the food deliveries were a lot more than one would expect for a family of four. The fact is they were a family of 45. The police surrounded the place. When they realized what they were dealing with, they called the army for backup. A shoot-out ensued. A few guerrillas were killed but most of them were arrested. Berenson had been arrested near the Congress shortly before the shootout so was not at the house at the time. In the house the police found automatic weapons and Peruvian Military Police uniforms. They also found somewhere a truck painted to look like an army vehicle. The group was clearly ready to go. Their audacious plan probably would have worked if their staging house had not been discovered. Three or four months later — at that point Berenson was in jail — a videotape was sent to a Lima TV station which it played on the air. The video showed the head of the organization standing in front of a black curtain with the insignia of his group. In front of him was a mockup of the Peruvian Congress. He proceeded to explain exactly how the takeover was going to take place. He said, in effect, you caught us this time but we will be back. Almost exactly one year after the first failed attack and Berenson’s arrest, the same group, this time led by the group’s maximo jefe [supreme leader] successfully took over the residence of the Japanese ambassador and took hostage 700 people who were attending a reception in honor of the emperor’s birthday. 72 of them remained hostage for over 4 months…. For the Japanese, the Emperor’s Birthday is equivalent to the 4th of July. And as far as the Japanese are concerned, with Fujimori being of Japanese origin, that event took on a greater import in Peru. The Japanese Ambassador, who was a good friend, had invited the Who’s Who of Peru. 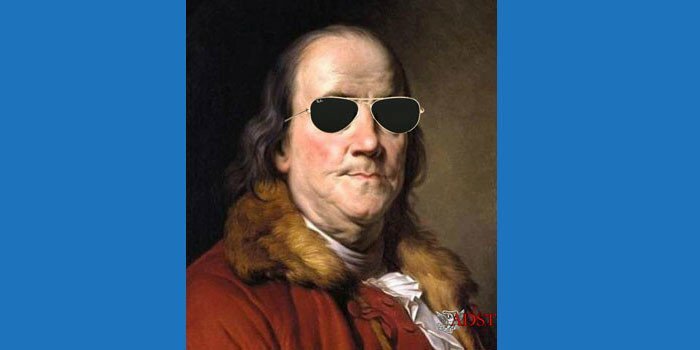 In addition to the diplomatic corps and 20 ambassadors, you had the captains of industry, plus all the senior people in the military, the cabinet, the congress, the Supreme Court, something like 700 guests in all…. The residence was a large walled property. On three of its four sides, the walls bordered directly on the street. On the fourth side, a row of houses sat between the wall on the street. One of those houses was rented from someone from the German Aid Mission who happened to be on vacation. It was through that house the guerrillas gained access to the one residence wall sheltered from the street. 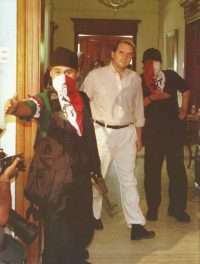 Several days before the attack, the guerrillas showed up in an ambulance. They took the house guard prisoner and went inside, set up and waited for the big reception. At about 8:30, an explosion ripped open the wall behind the garden where the reception was being held. The charge had been placed by the MRTA….Fourteen armed MRTA guerrillas charged through the hole into the reception. They essentially held Peru in their thrall for four months and ten days…. There were I think twelve American Embassy people who were taken hostage. I was not one of them, I had just left along with the Ambassador Jett very early in the evening because his mother and my son were flying in for the Christmas holidays and we both had to go to the airport. And six minutes after I left I heard an explosion followed by machine gun fire. I lived about six blocks away. At the time I was not particularly concerned about it because we did hear this kind of thing from time to time. My wife insisted that I check with the Marine Security Guards, who had just received word that these guys had busted into the Japanese Ambassador’s residence. Once they were inside, the walls around the residence became the defensive barriers for the terrorists. All the armed security guards who were supposed to be protecting the VIPs were stuck outside the walls and there was nothing they could do. Think about the situation for a moment. There were 700 people inside the spacious grounds of the Japanese Ambassador’s residence all dressed up in their finery frantically making their cell phone calls. After about 4 hours, the guerrillas let all the women go, including one of my political officers, who came back and described all of this to me. The MRTA guerrillas did this for practical reasons. They realized they simply could not handle 700 hostages. Food would have been an issue. Sanitation. So they got rid of that group and through periodic releases over several weeks whittled down the numbers to about 70 some odd, which they held on to until the end. For reasons that I still do not fully understand, the guerillas made a decision not to keep any Americans long term. All were freed within a week. Maybe they did not want to engage America head on on this. Maybe the decision was not pick a fight against the United States or cause a big problem. But they let the Americans go fairly quickly, although the week they were held captive was hell for their families and stressful for all of us. Among the 700 they initially took hostage, were about 20 ambassadors. They gradually released all of them as well, except the Bolivian ambassador Jorge Gumucio. And the reason they held Gumucio was because the Bolivian government had jailed one of their comrades in Bolivia and had refused to release him. From the Japanese Ambassador’s residence, the head of the MRTA group issued his demands, which was for the release of four hundred MRTA prisoners the Peruvian government was holding. He actually presented a list with the names of the 400. By the way the American woman Lori Berenson was near the top of the list. So Fujimori was faced with complying with that demand or risking a really nasty outcome. But it was clear Fujimori felt that for a Peruvian President to release the imprisoned guerrillas after all these years of fighting would have been a gesture of surrender of sovereignty. He would have lost any credibility that he had as a President. And we all know that Fujimori, if anything, was into defending power. There was no way he was going to release them. And the guerillas made a whole lot of mistakes. The biggest one was that throughout the four-month standoff with the Peruvian government, the MRTA never relaxed its initial demand that the government release all 400 MRTA prisoners on the list. Not that Fujimori would have honored an agreement to let a few guerrillas go. But they never even put Fuji in that situation where he had to decide whether to free a smaller number of the guerillas in exchange for freedom of the hostages. They never put Fuji to the test in that regard. Can you imagine a similar hostage situation in the United States in which a sitting president would agree to free 400 terrorists in exchange for some high-level people held hostage? No president can do that and retain credibility and it would be an impeachable offense even in Peru. It was not in Fujimori’s nature anyway. So while negotiations were going, Fujimori was busily assembling his Commandos and retaining some Israeli experts to advise or train the Peruvians how to carry out assault on the Japanese Ambassador’s residence to free the hostages. To my knowledge he never asked us for help directly. We did have an intel relationship with the Peruvians and did cooperate in important ways during the hostage crisis. But Fujimori never once acknowledged our assistance when I was there even to senior visiting U.S. officials when given an opening to do so. He did not want to admit we had helped. And the fact was the U.S. did not plan, train the Peruvians for, or participate in the raid that freed the hostages. That was Fujimori’s doing. He brought indigenous miners in from the highlands to tunnel under the residence from outside the walls, and of course he brought in the Israelis to help train his commandos. The tunneling was a slow, painstaking process. To mask the noise, the Peruvians played the loud-speakers they had placed outside the walls at a very high volume. The tunneling and the preparation of the commando attack took a fair amount of time, but at some point I guess his people came to him and said, “Okay, Mr. President we are ready.” And they had placed explosives right under the floor of the living room of the residence. They detonated these explosives there and in several other places and the commandos rushed in. They were actually able to free all the hostages but one got caught in the crossfire in the escape and was killed. He was a well respected Supreme Court Justice. The Foreign Minister, also a hostage, was wounded in the leg. In the end some of the guerrillas may have suffered from I guess what you would call a reverse Stockholm syndrome in that at least one of them had sufficiently bonded with the hostages so that he was unwilling to follow his standing orders to execute them if there was a rescue attempt… He just couldn’t do it. Some guerrillas were killed outright when the explosion went off under the living room where they were playing soccer in the living room. But most were not killed in the initial blast…. One or two of them simply refused to kill the hostages. And it was over very, very quickly, maybe a couple of minutes. No guerrillas survived and I will leave it to you to imagine how that could possibly happen. But in the end Fujimori won a tremendous victory. During the hostage crisis the whole country was hanging on every moment. The government was paralyzed. Nothing was happening. Imagine: a senior intelligence officer was a hostage, a senior naval and army officer, Supreme Court Justices and Ministers. There was just an amazing number of high-level Peruvians held hostage. So that was another huge victory for Fujimori. But I want to tell you that when the hostages were taken, which included I think 12 U.S. Embassy people, the U.S. very quickly sent down a special crisis task force. And I think it is a great credit to the Embassy to be able to organize itself successfully to deal with the crisis with the help of the people who came in. The folks who came in were very competent but some were also very strong willed. However, we were able to successfully integrate them into the country team, and there was very little friction. And during that whole period, which was four months and ten days, this task force, worked successfully to coordinate all information that we were able to acquire and do whatever needed to be done to help ensure a positive outcome…. To my knowledge, if the guerrillas were able to communicate with the outside, it was minimal. This was because one of the first things that the Peruvian government did was to totally cut them off, isolate them. They were forced to live in a bubble. And because of this, the MRTA leader may have developed an unrealistic understanding of how strong the cards he was holding were or were not. Or maybe he was just stubborn or had an inflated view of his power. He showed no flexibility at all. I am not saying that ultimately he would not have been undone in any event, but his inflexibility assured an outcome that was disastrous for him. By way of background, Berenson had dropped out of MIT as a sophomore. Apparently she had been radicalized while in El Salvador on vacation when she stayed with a family of guerrilla sympathizers. That is what I understood. She later married, and I think then divorced, a Sandinista from Nicaragua. During the El Salvador peace negotiations, in 1989 I think, Berenson, apparently unbeknownst to the USG, actually served as a secretary to the head of one of the FMLN guerrilla groups which were then negotiating a peace deal with the government of El Salvador to end the war. She actually sat in on the negotiations as note taker for the guerrillas. But at the time the U.S. did not know she was an American. Her role with the Salvadoran guerrillas only came to light after she was arrested in Peru in 1995. I am just speculating here, but putting two and two together, it was probably because of her impeccable revolutionary credentials in Central America that she gained entree to the MRTA in Peru. You need to understand that most Latin American revolutionary groups like the MRTA had very close ties with each other. They fought in each other’s insurgencies. I recall that there were Peruvians were fighting with the FMLN in El Salvador when I was assigned here. Berenson must have gotten an introduction to the MRTA and agreed to do some logistical work for them. 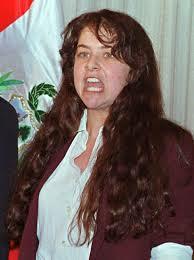 Her arrest became a cause celebre in the U.S. and the subject of an enormous “free Lori” campaign in the US, I think orchestrated by her parents…Berenson’s parents came to Peru very frequently to visit her, and while there met with Ambassador Jett and me, I think twice. Our head consul regularly trekked up to the altiplano to visit Berenson at a prison over 14,000 feet above sea level and deliver food, clothes and vitamins, which she shared with her fellow revolutionaries. However, she was at that particular prison by her own choice because her boyfriend was in the same jail. Finally she agreed to be transferred down to a prison at a lower altitude…. This [was] despite a lot of pressure from the United States on the Peruvian government to release her. You would be amazed and dismayed to learned some of the sources. But neither the Peruvian government nor the Peruvian people felt very sympathetic to foreigners who came in to support insurgencies that went on for 20 years and produced 20,000 dead. And the Fujimori government was not about to give in to pressure to release somebody simply because she was an American. Now her parents insisted all along that she was innocent. Moreover, her first trial was judged by international observers not to meet internationally recognized standards of justice. So she was tried again and convicted again…. But what I want to tell you is, the U. S. position always was to insist Berenson receive fair treatment and a fair trial regardless of what she may or may not have done. And, of course, she was entitled to and received consular representation and regular consular visits. And we went out of our way to provide her first-class consular protection in every aspect. When I was there, a consul would visit her every month. They found her very strong willed and utterly committed to the revolutionary cause. They respected her commitment, not her position. But the fact is that this was not a person who ever repented for what she had done or ever disavowed her group for that matter. She was an extremely, extremely committed person. By the time I left there had been no change in that at all. Jim tells the story well. I was the CG there at the time and visited Lori monthly for the first year in Yanamayo except when on leave during the government shutdown. I am not sure she chose to go there but may have chosen to stay. A good friend, Pedro Fujimori, Alberto’s brother was a hostage too. The Fujimori women at the party were all released. Our people were released too probably thanks to the very public arrival of a planeload of “reinforcements”. This all came down just before Christmas. The Red Cross used an Embassy car and driver to conduct its visits to the compound. In my mind It is not beyond the realm of possibility that all this happened with the foreknowledge of Vladimiro Montesinos. In the Peru of that period nothing was as it appeared. Lori had a beeper with her on the bus when she was arrested and had time to activate a warning to the house so they were ready when the cops showed up. The arrest was precipitated while the officer in charge was out of town on other business. There was quite a firefight around the hose that night. Fuji himself announced the arrest. Others in the Embassy who knew of the arrest did not bother to advise the Consular Section. I heard about it via TV. The Crisis team that was sent from the US to integrate with your EAC is known as the FEST or the Foreign Emergency Support Team. They would later that year spend 28 days in Nairobi.